What you are going to see is what remains of a glorious but never completed project. In 2003 Constellation Studios did not the same resources that it has now. Our movies were shot in DV video format and in 4.3 (squarred screen). Having enlisted Cedre Teilhard and Rodolphe Dupuis, in charge in CGI visual effects, Eric Saussine set up to produce a short Star Trek movie, a tribute to the legendary franchise that was loved by 90% of the people associated to the project. The film was shot - you can read the storyline below - and was edited as the visual effect were delivered. But some of the staff’s personal lives evolved and in the end the project could never be completed. Moreover the studio has become more demanding regarding quality levels and, honestly, the acting ranges from acceptable to atrocious. A work-in-progess of the film exists in our archives, as well as a trailer that was shown in m any festivals and conventions. Rather than leaving this material rotting in the depth of some Hard Drive we are proud to present what is in some way its quintessence : an overloaded trailer, showing every style of shots made for the film. It is based on the first one that had been produced but editing has been greatly tightened and numerous new shots have found their way into it. So indulge yourself and Beam aboard the U.S.S. Enterprise ! This project was featured in the documentary Trekkies 2, directed by Roger Nygard and hosted by Denise Crosby (Star Trek : The Next Generation). right-click on the above link and "Save Target As..."
Captain DeSalle and the Enterprise NCC-1701-E have received instructions to inquire about the crash of the two ships in the tropical forest of Sipar on Tixalia IV. Sipar is and always was an important place of the religious culture of Tixalia IV and all the temples in the forrest are sacred monuments. 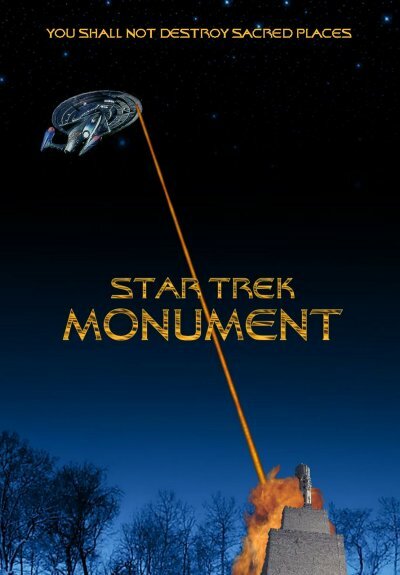 Especially the Monument Fortress of Telaar, of the most sacred buildings of this stellar system. The Tixalians, members of the Federation, have only authorized the highest-ranking officer of the ship to enter the sacred forest. The Captain is beamed down in dress uniform, despite the protest of his first officer, Commander Ciprach. DeSalle finds the origin of the shooting that destroyed the two ships... After millenniums the Monument Fortress of Telaar wakes up and its deadliest defense mechanisms endanger both the Captain and his orbiting ship. As the Enterprise is nearing destruction DeSalle is torn apart by a terrifying dilemma. The monument is sacred - but so is the life of his crew. The picture is inspired by the universe created by Gene Roddenberry. Though it takes place on the Enterprise NCC-1701-E with the crew that succeeded the one of the great Captain Picard (Star Trek The Next Generation), it glorifies the spirit that made the original series a legend - a mix of sixties candor and optimism born under the presidency of John Kennedy. 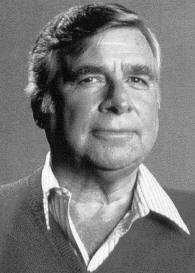 Star Trek Monument is respectuously dedicated to the memory of Gene Roddenberry.